The Soaring Eagle Award recipients. 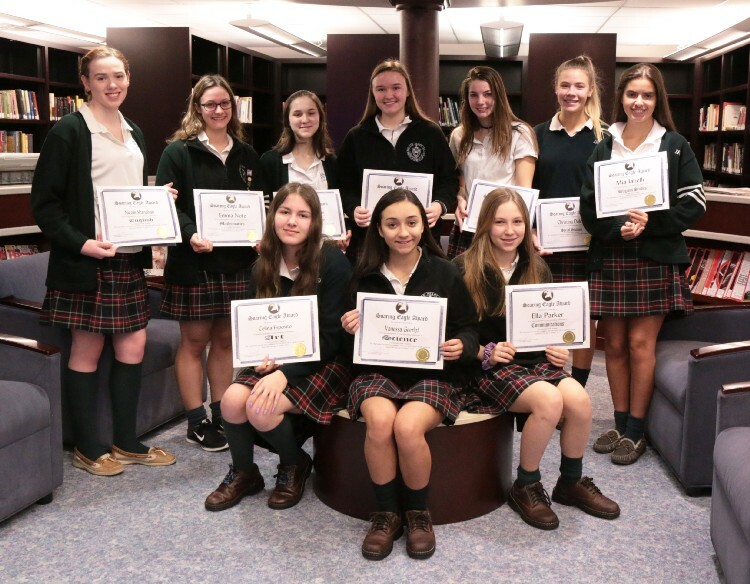 After spending the previous week taking midterms, on Thursday, January 26th, IHA Quarter Two Soaring Eagle nominees and their families gathered in the Information Commons to celebrate the girls’ awards. 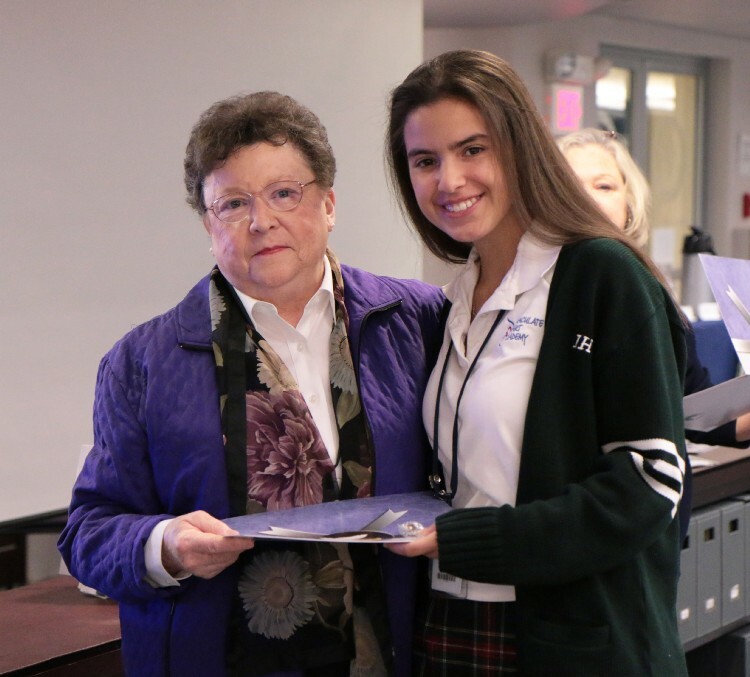 Mia Ianelli poses with IHA president, Ms. Molloy, after receiving her Soaring Eagle Award. Soaring Eagle Awards are a quarterly event that recognize students for outstanding performance in the classroom. “I love the concept of the Soaring Eagle-recognizing those students who have drive and passion to succeed. Mia has great drive to succeed in her studies but more importantly a deep faith in God which is a foundation of her passion,” shares Ms. Braden, IHA religious department chair. IHA congratulates its second quarter Soaring Eagle nominees!